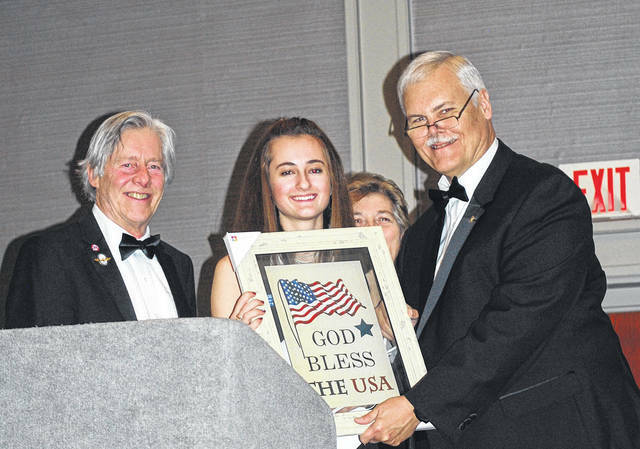 Wayne High School senior Abigail Kerestes was recently named the state-wide winner of the Veterans of Foreign Wars (VFW) Voice of Democracy winner. 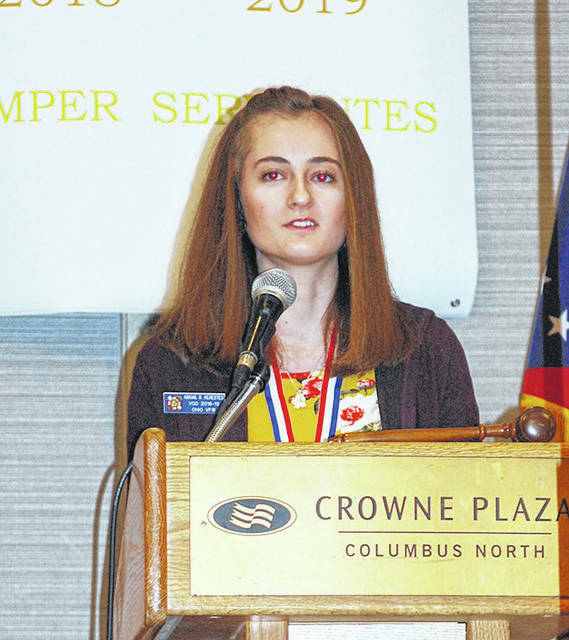 COLUMBUS — Wayne High School senior Abigail Kerestes was recently named the state-wide winner of the Veterans of Foreign Wars (VFW) Voice of Democracy winner. That presentation was made on January 12 at the Crown Plaza Columbus North. In order to be named the winner, Kerestes’ essay and recording won local, district, and state competition with over 1,500 students around the state of Ohio. The essay them for 2018-19 was Why My Vote Matters. Established in 1947, the Voice of Democracy audio-essay program sponsored by the Veterans of Foreign Wars (VFW) provides high school students with the unique opportunity to express themselves in regards to a democratic and patriotic-themed recorded essay. Each year, nearly 40,000 9-12 grade students from across the country enter to win their share of $2.1 million in educational scholarships and incentives awarded through the program. The national first-place winner receives a $30,000 scholarship paid directly to the recipient’s American university, college or vocational/technical school. The other national scholarships range from $1,000-$16,000, and the first-place winner from each VFW Department (state/region) wins a minimum scholarship of $1,000 and an all-expense-paid trip to Washington, D.C.
Kerestes was awarded a scholarship from the Department of Ohio VFW in the amount of $8,000. She will be representing Ohio at the VFW legislative conference in Washington, D.C. during the first week of March where the overall winner will be announced. Kerestes is the daughter of Steve and Lori Kerestes. Reach Darrell Wacker at (937) 684-8983 or on Twitter @HH_Courier.